Zane has grown so much since I last saw him! He is already six months. He's loves to laugh, smile, and with assistance, stand and jump! He still doesn't have any teeth, but is starting to drool more and more, so the teeth may be coming soon! He likes to army crawl and is starting to sit unassisted. His favorite toy is Sophie the Giraffe (another indication that he may be teething). Mila has grown so much in the last year. I was lucky enough to meet Mila when she was just a couple of days old! She is a beautiful little girl with big, brown, mesmerizing eyes. She is active, talkative, and very strong-willed. She is also a little sensitive, particularly when it comes to having her picture taken. Luckily this time she brought her daddy. Her mom told me that she was a bit of a daddy's girl and she was not kidding. Having daddy there made for some really sweet smiles! MIla is experimenting with walking. She has eight teeth and is currently teething. She loves cheerios, books and her cat. Locke is a sweet, laid back little baby. I must say that his mom was pretty laid back for a first time mother, so he probably comes by it rightly. He likes playing with his plastic keys and his Sophie. My 15 month old, Jack, has so much fun with his toy keys too! Locke is a curious baby. He really took in everything that was going on around him during his session. His mom told me that he likes looking a faces. He spent quite a bit of time studying mine. She also told me that Locke was a little scrawny when he was born. You would never know it now. He has the most perfectly round head and the most adorable chubby cheeks. I met Charlotte and Janine when they were 4 months old. I was so happy to get a opportunity to photograph them again! They are both easy going little girls. Charlotte may be a little more laid back than Janine, but they are really both very curious and happy babies. They have grown so much since I saw them last. Charlotte, who seems to be more advanced in her language, says bye, mama, dada, and a bunch of other babbles that only she and Janine could understand. Charlotte can sit and push up, and will army crawl. Janine, who seems to be more advanced physically, can crawl on her hands and knees and is pulling herself up to standing. They are both adorable, don't you think!? Big smiles in their baptism dresses! The girls playing with the sweet toys that their aunt made for them. Auggie is the baby of the family. He has two beautiful older sisters. I was lucky enough to meet him and his family a few days after he was born for his newborn pictures. Auggie's sisters love to play with and take care of him. Auggie loves to be held and and to play on his play mat with his mom and sisters. Auggie's mom told me that he was a chill little guy and she was right. At his session he was so relaxed; he really just went with the flow. I was so happy to get a chance to see how much Auggie had grown in the last six months. You would think that I would get used to watching these babies grow-up, but I don't. I just love seeing tiny newborns turn in to babies and then into little people. I never tire of watching as they begin to explore the world around them. I met Lyla and her mom when Lyla was five months old. At that time she was just sitting. Now she is starting to walk. I just love watching babies grow and begin to explore the world around them. Lyla's mom is so sweet and I was looking forward to seeing her at Lyla's session. Unfortunately, she was called in to work at the last minute. I offered to reschedule, but she chose to send Lyla with Grandma. It was a first for me, but I think that Grandma and I did a good job. I hope that these images are a nice surprise for mom! Happy Birthday Lyla! Singing her favorite song, Itsy Bitsy Spider. I met Aubrey when she was a year old. Now Aubrey is a beautiful 18 month old girl. She was not what I would call excited to have her pictures taken, but not scared either. At first when we put her in front of the camera, she looked back at us as if to say, do you want me to just stand here or what. 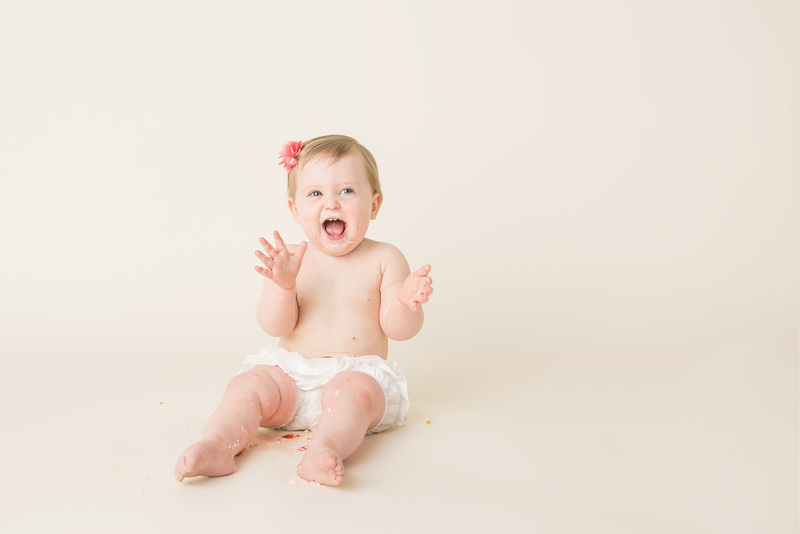 That made it easy to keep her in one place, which is the biggest challenge when take pictures of kids this age. Of course we want Aubrey to smile as well as stay in one place and she did not disappoint! Aubrey's mom started playing some music and she lit up. Now I am not talking about "The Wheels on the Bus" kind of music, we were listen to music that brought me back to high school! I must say, Aubrey has great taste! At 18 months, Aubrey has fun dancing (to great music) and reading books. She love to eat macaroni and cheese and fruit. She also uses one of my favorite "sippy cups". I use quotes, because it is not really a normal sippy cup. Aubrey likes the Munchkin 360, because it is less messy to drink out of than a standard sippy. I like it for Jack because he can't make it leak! Jack takes traditional sippy cups and turns them upside down so he can play with the contents. I just love her adorable smile. Doesn't she have the most perfect teeth! I recently had the pleasure of meeting Elijah and his parents. Elijah brought his favorite Elmo toy to his session. At the beginning of his session, he was very quite. His parents brought his favorite Elmo stuffed animal, which helped us in the beginning. After Elmo broke the ice, I had Elijah take a few pictures with his mom and dad to help him get comfortable. After that he was all smiles! Before their session Elijah's mom told me that he was a joy to be around and she could have been more right. He is a sweet and fun little guy. She also told me that Elijah loves to play music (the drums), playing with his dog and running in circles. I think my favorite part of our session was when Elijah began running to the set, stoping, smiling and then running back to us. He did it in such a controlled fashion, but the smile on his face and in his eyes told me that he was having fun! Since Elijah was cautious to start the session, we took some pictures with mom and dad first. Since Elijah was curious, but cautious at the beginning of his session, I decided to have him take some pictures with mom and dad first. Once he saw how this whole photo thing worked, he did a great job! I mean, look at that sweet smile!